Sorry for the radio silence, I’ve been frantically preparing for my first ever backpacking jaunt. I’m currently at the airport waiting for my flight to Cambodia, alone with an 8kg backpack and a significant lack of heels! 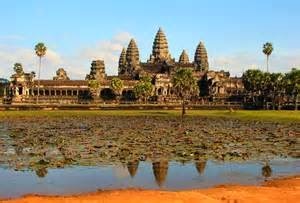 I’m scared and excited all in one but I will be at the majestic Angkor Wat in about 24 hours! No scheduled posts as I’ll be sharing my journey across Cambodia with you. If you have any tips, I’d LOVE to hear them.